New York, May 1, 2018 – MCW, a New York-based non-profit organization dedicated to addressing communities’ pressing needs by empowering current leaders and readying leaders of tomorrow, held its second Young Leaders Conference in Cairo, Egypt from April 27th to 29th bringing together youth between the ages of 18 to 26 from across Egypt and Africa to focus on soft skills development related to employment and environmental issues. MCW hosted the three-day conference in partnership with Think Tank Development Solutions, an organization based in Egypt serving as a hub for social development and innovations by and for young people. The YLC was divided into three parts: individual leadership development, global citizenship (understanding different social issues, approaches to solving them, and our responsibility to act), and “vision planning,” where participants go through basic steps of planning an initiative in their community. By the end of the conference, the youth who attended gained basic tools to implement their initiative and the confidence to pitch their ideas to potential partners. Projects designed by the participants took into consideration the unique perspectives of their culture and history of their communities. “The overwhelming interest in our conference and the dedication of the participants throughout the program demonstrates the need for more of this work in this region and across the world. 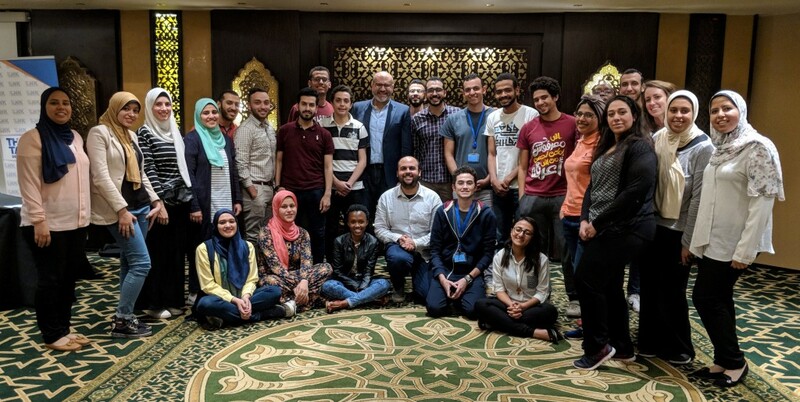 We are excited to learn about the impact the YLC Egypt alum will have in their communities,” added MCW’s Chief Operating Officer, Khalid Elachi.